I recently lost a friend of mine. Renee was one of my counseling friends I made while I was interning to get my Marriage, Family Therapy license. We worked at the same clinic. She was a fantastic therapist and a super human being. I was always so impressed with how she threw herself into life including hard challenges. She was taken from us way too soon. I'd like to dedicate this blog to her memory. 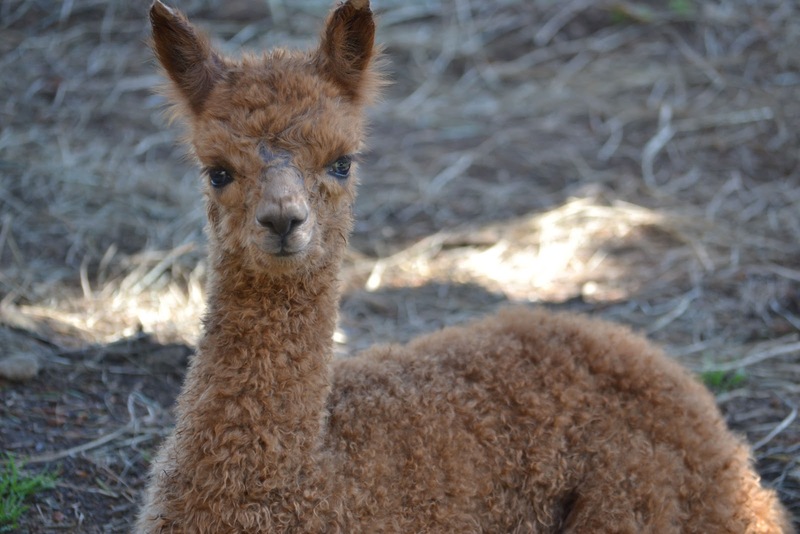 The one down side of having alpacas and being in a livestock business is the fact that we occasionally (and thankfully it is occasionally), we lose an animal. If you haven't noticed, I deeply care about my animals. And when I lose an animal, it is very difficult and sad. None was more painful than when I lost my boy Sargon. 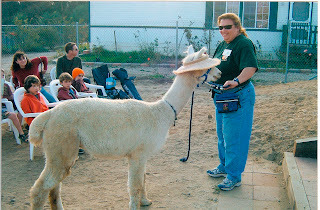 He was my buddy alpaca. Sargon was an extroverted alpaca which is so rare. He loved people and actually preferred to be with us two-leggers than with his herd mates. I so enjoyed taking him for walks around the farm I boarded my animals at. He would come running when he saw me and we would walk the 25 acres and I could even drop the lead rope with him and he'd just follow me. I clicker trained him. Sargon was so smart and such a character. I taught him so much. He just loved to learn and to please me. We were learning dance steps and I was going to get him to do a little routine to show off to folks. He was going to be my ambassador on my own farm some day and he was just going to be a big star when folks came to the farm. Unfortunately, Sargon took sick right after I moved up to Oregon and just before I moved my animals. They discovered him doing poorly when they did the vet checks that needed to be done before they were transported up to me. He was doing so poorly that he had to remain back after the others came up here. It was so hard being so far from him when he was so sick. Friends did all they could for him but his illness was too strong and I lost him. It broke my heart. I felt so guilty because I wasn't with him when he needed me most and although I know all did everything they could to save him, it wasn't me with him. The day he died, I was just grief stricken but I got to witness one of the most magical moments I have ever experienced in my life. That evening my alpacas were enjoying their new pastures. Just as dusk was setting in, they got the zoomies. 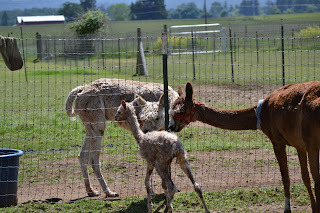 The adults and cria started to pronk and race around their big pasture. I stopped what I was doing to watch but it was with such a heavy heart because I so wished my Sargon was there enjoying my beautiful pastures too. As I watched, my alpacas started to pronk in a huge circle. They were spread out but followed each other and pronked in a counter-clockwise direction. They ran in that circle a few times around and then stopped. The alpacas were still spread out and making the huge circle. They all faced the center of the circle. They stayed staring at the center for about 30 seconds and then one by one, they lowered their head almost to the ground as if to bow and walked away to go graze. It made me smile thinking of how "taking a bow" was Sargon's favorite trick I had taught him. Tears streamed down my face but my heart wasn't as heavy. Their dance lifted my spirits. The energy they put out doing their dance and the ritual I witnessed felt like such a gift. I have never seen my alpacas do anything like that before nor have I seen it since. It appeared and seemed as if they were performing a ritual dance and the way they looked so intently towards the center of their circle, I believe my Sargon was there. It was a beautiful and touching sight. Watching such an amazing spectacle, made me so grateful for my alpacas and although I was so deeply sad that I lost my Sargon, I was also so honored that I had my boy in my life and that I got to witness their ritual dance. I would have wished for much longer with him but even knowing the pain I suffered in losing him, I wouldn't have traded all the joy and happiness he brought me and others while he was here. Today I got to observe the dynamics between the alpacas, my livestock guardian and me during a threat of a potential predator. While out raking, I noticed a turkey vulture circling above my pasture. It was up high doing slow circles and seemed to be watching where some of my new cria were napping or playing. I watched it circling and didn't think too much about it. I didn't think a turkey vulture would go after a cria. I figured they were too big for something like that to go after. They would go after much smaller prey or things already dead in fields or roads. My livestock guardian has been into chasing birds out of the field so I called him over and pointed to the turkey vulture just because I know he likes to chase the birds away and it would be a fun game for him. Moose saw what I was pointing at and ran barking and trying to lead it away from his alpacas like he normally does with other birds in the field. The turkey vulture lazily flew across the way and I lost sight of it. About 15 minutes to a half hour later, the turkey vulture was back circling again over the babies. This time, my internal alarm started to go off. I didn't like the feel of it and it circled over the field longer. I was raking in another area but seeing that bird so intent on my babies, I went hurrying over to them with rake in hand and called to Moose. He came running and barking at it and I stood near the babies until it left. I watched for a bit and didn't see it so went back to raking. Only 15 minutes or so passed and it was back. I saw it and didn't wait long before rushing over to the babies. Each time it came back it stayed overhead longer and longer. I was officially worried about my babies. I was to go over to a friend's place to cria watch for an expectant mom while she attended a friend's graduation. I didn't want to leave my babies with that vulture ogling them. I decided it was best to bring them in. The vulture circled over head for quite a long time and at a lower altitude. The adult alpacas in the pasture next to where the babies were began running back and forth. The shadow of the vulture was floating along the ground and it was scaring them. Moose didn't try and chase the bird away this time but stayed close to the alpacas that were running about their field afraid of the bird. The moms had gathered the babies and took them under my giant maple tree and I stood between them and the vulture. I didn't have my rake this time so took some sticks and tossed them in the air at the bird and looked for rocks to throw too. I'm not sure how much time passed. It felt like an eternity but it was probably only a couple of minutes before the vulture decided to fly off. It wasn't going to be successful with Moose and me standing there. I could tell it was coming back to see if Moose and I were going to be gone long enough to strike. After it took off and I could no longer see it, I told my moms to take their babies back to the barn. They would typically never let me herd them in that far away from the barn at that hour. It was prime grazing time and they were about as far from my barn as they can get. But they listened to me and we quietly walked back towards the barn. I told them to keep babies near them and to keep walking. They kept their babies at their side as we walked. I told Jamilah who is my most intuitive alpaca and I have a close connection with to lead the way and take us back to the barn. She did just that. No one tried to run away or break from the herd. They kept their babies close and we quietly and calmly walked back. They stalled on the last leg but my friend Carrie was there so I called her to give me a hand. She grabbed a pellet bowl and shook it and that got the alpacas' attention and they ran the rest of the way to the barn to get some goodies. I was so relieved to have them back I got them some of their favorite alfalfa pellets to reward them for being so good about coming in for me. I know they sensed the danger too. I'm not sure if they picked it from me or from the flying predator or both but they trusted me enough to do what I needed them to do. When the vulture was flying overhead, they kept their babies safely under the tree and when it was safe to get them moved, they listened to me to head to the barn. They didn't complain once about being locked back in the barn area either. I kept them there for a couple of hours before I felt it was good and safe for them to go back out. I started to ask around to see if anyone else has had issues with Turkey Vultures going after their cria. So far no one has. Either they were incredibly hungry to try and go after such a large target or they were just thinking about it and sizing the situation up. But I sure didn't like how they kept coming back every time Moose and I left the area and the moms and babies were out there on their own. Moose is going to be hanging out with moms and babies for a few days when I can't be out with them. What a good dog I have that he knows when he is needed and does all the right things to protect his herd. It was pretty cool to see how the alpacas trusted me during the time of danger and listened to me in what I needed them to do to help protect them too. They don't listen to me very often so I was so relieved and grateful that they did when it mattered. It was even more meaningful because those moms typically steer their babies away from me and this time, they knew I was not the threat but the one protecting their babies. It was also very fascinating to observe and witness their dynamics while under a real threat. The moms kept babies by their side and the single adults with no babies took charge of leading the way and being the guardians which allowed moms to hang back with their babies and it was cool to see moms put their babies in the middle while under the tree. One of the babies tried to break off and I saw it and shooed it back and mom must have said something because it didn't try again and stayed right by mom's side until we got to safety. These animals are smart and know how to deal with things. So fascinating to watch but hope we don't have to do it again! All five cria have been birthed and doing well at Alpacas at Hum Sweet Hum. Such a relief to have them on the ground and doing so good. I keep a list of names going but I like to wait until they are born to see what their personalities are like before naming babies. Three names came quickly and none of the names were on my list. Those names just didn't seem to fit. The first baby born is Miss Marple. She stood up in less than 10 minutes after birth and went straight to mom's milk source and got it in two tries of finding it. She was running around by four hours old and checking everything out all around her. She is a light beige multi and cute as can be. She comes over and gives me kisses and snuffles my face all the time all the while talking away to me. She has no fear and just into everything. She reminds me of fudge marble ice cream and playing with that name and her personality of being so inquisitive, the name Miss Marple came out and I knew that was a fit immediately. The second baby born took me a little longer to find a good name for him. He was two weeks early but he was strong and needed no extra care. Windsong, his mom, was very protective of him though so I had to wait a few days to get a feel for his personality better. He is a small little tyke compared to the others. He was good size for a premature baby (15 lbs) but compared to the others born this year, he is a peewee. At first I was thinking of names that might go with Miss Marple. I like to do trends and most of the names I have picked have a musical theme to go with them to match my farm name of Hum Sweet Hum. He was so pink when he was born that I thought about naming him Clouseau after the Pink Panther movies and fitting with the investigative theme to go with Miss Marple. But he just wasn't that curious of a baby like Miss Marple. I also thought of Sherlock which I thought cute since he is a suri and has some nice locks coming in. But those names just didn't fit his personality. One night I sat at my computer and went over names while texting my friend Carrie to try them out on her. We bounced all sorts of ideas back and forth. I went through some of my various backgrounds and areas of interests to see if I would find something that might trigger a good name. I have my undergrad degree in Aerospace Engineering and have a love of space travel. Looking up the various names of astronauts and spacecraft, I came across the name of Sputnik, the first Russian satellite put into orbit. As soon as I came across that name it was a fit. The name for Sputnik was work but the next baby's name came pretty fast and easy. 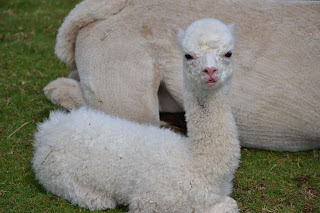 Sweet Bell's cria is a multi color too similar to Miss Marple but she is a suri. This cria has dots all over her legs. She is the one I wrote about in a previous blog that crashed on me after a few hours. It was a frightening few hours while we worked on her and got her going again. Another friend of mine suggested the name JuBellation since we were so jubilant that she made it and it goes with mom's name. It's also a bad pun which I'm quite known for so that was a good fit. She reminds me of jujube candy that I used to love as a child so her barn name is Jujube. My next two cria were very late in arriving. They were my first ones due and the last ones to be born. My first due was actually my last to deliver! These two cria are so exquisite. Naomi's cria is the best baby born to Hum Sweet Hum so far. Her fleece is amazing. Dove's little boy is pretty spectacular as well so I wanted to name them a bit classier names. These names did not come easily at all. I tried on lots of names and none fitted. It was like me going shopping and trying on outfits (which I hate!). Nothing fit. I spent nights at the computer and Wikipedia searching various topics and ideas. I tried Latin translations, I pulled out my name book, I tried all my various interests and names that I liked but none fitted their spirit and quality. Finally, while raking the other day, I came up with the name Calvin for Dove's boy. To class it up a bit I put Lord in front so his name is Lord Calvin. I really like the cartoon strip Calvin and Hobbes. It took a few days for his personality to start coming out and I could see that little cartoon boy impishness coming out. I debated on that or Lord Kelvin but he got himself into mischief getting into the wrong pasture and both his mom and I were looking down at him wondering how he got there and I could have sworn he said, "Hobbes made me do it!" But to make sure a name fits, I like to try it out on them to see if they react. 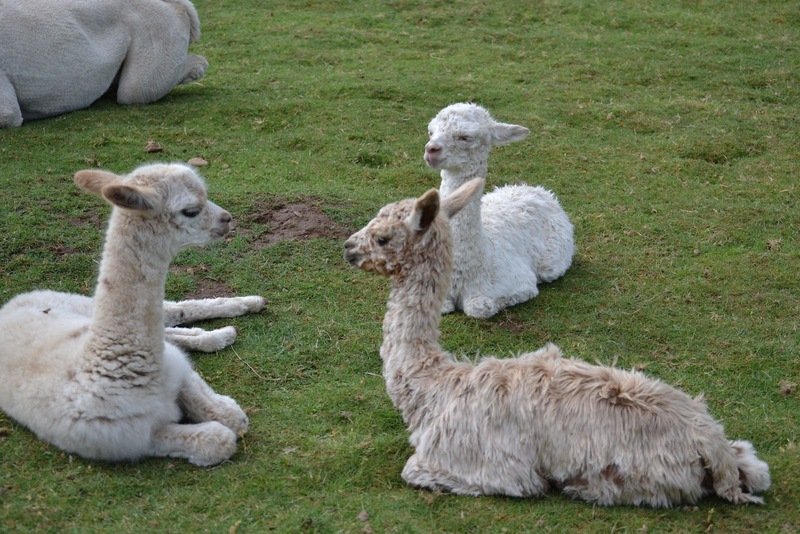 Alpacas learn their names and I have had babies react immediately to a name and ignore others. Whether it is a coincidence or not, who knows but I take that as a sign if they react. So that evening after chores, I sat down on my bench near where Calvin and his mom were. I called his name and his ears perked up. I then asked him to come to me and he walked right over to me and snuffled my face all over. He hadn't done that before so I took that as a good sign that his name should be Lord Calvin. The last cria has been the hardest. She is so lovely and exquisite. I want just the right name for her. She is pure white with crimp down to her skin and so incredibly fine. If her fiber is over 16 or 17 micron I will be shocked and I bet she is closer to 15 micron. She is so soft you don't even feel it. There are lots of good names for her but many that I liked so did a lot of others. When doing my research, I can go onto the Alpaca Registry database and look up how many have that name. I don't like to have too common a name unless I'm pretty sure it will be a fiber male. Many names I would finally find and like, I'd go on the registry and see that there were pages of them. Back to the drawing board I'd go. It took me a week but I finally have narrowed it down to two names. I came up with Lenox but how I got there was because I was humming an Annie Lenox song in my head so it fits with my theme of music and it is very class china too. I liked it but there were a good dozen names that she would share with it. The other name I came up with from a similar vane is Royal Doulton which there is only one in the registry and I could call her Dolly. I haven't decided which one fits her best or perhaps a better name will come to me. She is very shy and doesn't come to me much and mom keeps her away so that has been part of the reason why she has been so hard to name. She was also a stealth baby. Mom waited until all were gone to deliver her. She didn't want anyone out watching. She also wouldn't show me when she was nursing which drove me nuts. I could tell she was getting milk because she was such a strong baby, held her head up well and so alert but I never could catch her in the act of nursing. I would put her under mom to make sure she was getting milk and she would go straight to mom's teats if I did that and nurse well but it took me over 24 hours before I saw her finally get up on her own and go straight to mom to nurse. I found a name I liked that fit with the stealth theme - Nighthawk but being white, "night" doesn't quite fit but hawk does since that is the father's name. The final decision isn't made on her yet. I suppose some would say that I spend too much time coming up with babies names but I find it fun and I have made the mistake of naming a baby with a name that they have lived up to and so I take care of finding a name that fits their personality and one that also attracts the energy that I want them to have! It's also been fun because so many friend have participated in the process. It's been pretty cool to see the interest and engagement of others in the naming process. Anyone with suggestions or you have a preference on one of the names already for this baby, let me know. She needs a really good name! 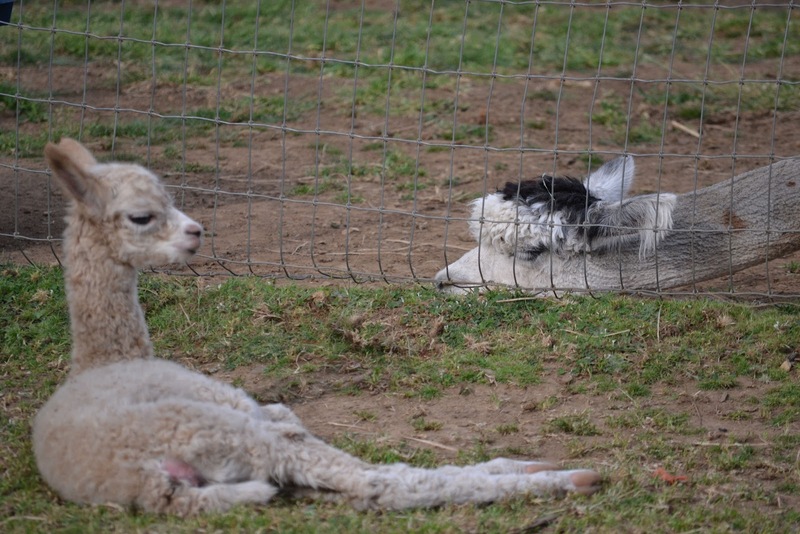 The birth of cria is such an exciting time. I never get bored with the experience. It is always thrilling, anxiety provoking and miraculous. Mother Nature is an amazing engineer. I have had 4 cria in two weeks. This year was especially exciting because I had used two males that were just starting their careers. Baloo is my first male born to me that I have used as a stud. The other male is one I purchased and co-own with Wings and A Prayer that has a quite successful show career behind him. Would I get an appy like him? Would I get a gray pulled from his background and mom's? Waiting for the baby is like waiting to open your presents on Christmas morning. All that research and decision making process to choose a male and then you have to wait over 11 months to see that prize inside. After the births, I move my dams and babies to my barn area to bond and recuperate. I give lots of goodies to mom and there is less space for her to have to chase after a baby just learning to use its legs. I don't necessarily have the optimum set-up where I can move my males far away from my females. I don't have much space for them either so I work hard to keep only the males I really need on my farm. The three males that I used for breeding my first three cria just happen to live in the pasture adjacent to my barn area. There is just the fence separating them and yes once in awhile there is some flirting going on but fortunately and with a conscious choice, I have males that are pretty easy going guys. They do their job and boy do they love it but they get along pretty well and the girls nearby don't amp them up too badly. This year was the first time where the fathers were nearby to see their babies. It never even occurred to me until mom and baby were standing by the boys that the papas were there to see their babies and I was thrilled to get a family picture. That is such a rare thing to get. When Baloo, the low guy in the pecking order in his pasture of three males, chased the other two males away from the fence when he met his baby girl, I wondered if he knew that was his baby. He stayed near the fence where she was and was very gentle sniffing her through the fence and if the other two came near her, he backed them off. I even saw saw them all napping together. There was no flirting with mom. It was just an attentive presence of mom and dad watching over their baby girl. I wondered if that was a fluke or did Baloo know that was his baby. The second baby born was with Windsong and Makeanu. When I brought them in to the barn area, Makeanu came to the fence and he sniffed the baby while the other two boys stayed back. Mak wasn't quite as interested in the baby as Baloo but he did seem to watch over things. The third baby that arrived was Kaleidoscope's baby. Klyde came to the fence and sniffed at his baby and was so sweet with her. He watched attentively while the other two males stayed at the far end of the pasture. Sweet Bell and Klyde's baby took a bad turn a few hours after birth (I wrote about it in my last blog) and out of the corner of my eye, while I was working feverishly and frantically to take care of the baby, I noticed Klyde racing the fencing. He was so upset. As soon as the baby was out of the woods, he stopped pacing. Was he picking up my high anxiety? If so, why weren't the others pacing and upset too? Or, did he know that his baby was in trouble? It is only a statistic of three so not a lot of data to be sure that fathers seem to know their babies. But, it sure was interesting to observe and notice and track in the future. 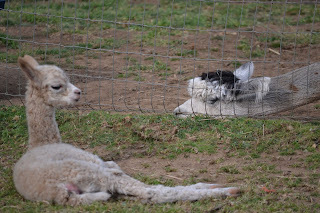 My next cria's sires are at other farms so I won't get to observe this behavior again until next year. Has anyone else seen this behavior with their males and cria?